Remember that each flag has its own –T<trace#>. Do not try and use spaces or commas for multiple flags and a single –T command. 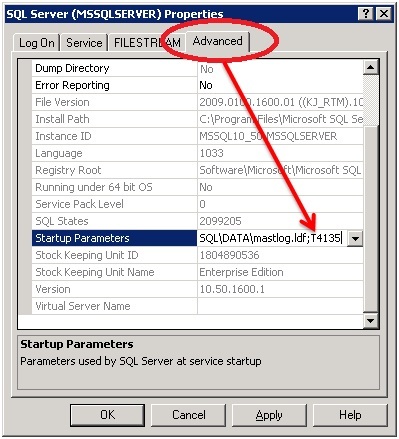 Always review trace output in the SQL Server error log to ensure start up flags has taken effect. Now we have added the trace flag. It will be enabled as soon as we restart the SQL Server service. ← How can I configure SQL Server to listen on multiple TCP/IP ports? Hello there, I discovered your web site by means of Google whilst searching for a comparable subject, your website came up, it appears to be like good. I have added to my favourites|added to my bookmarks.